Despite its name, atypical depression is one of the most common types of depression, affecting between 25 to 40 percent of depressed people. Because the symptoms differ from those of typical depression, this subtype of depression is often misdiagnosed. Atypical depression was named in the 1950s to classify a group of patients who did not respond to electroconvulsive therapy or to the tricyclic antidepressant Tofranil (imipramine). They did, however, respond to monoamine oxidase inhibitor (MAOI) antidepressants. Some of the same treatments that work for classic depression work for atypical depression, such as selective serotonin reuptake inhibitors (SSRIs) and cognitive-behavioral therapy; however, full recovery is more achievable when this type of depression is identified and addressed. Here are a few facts about atypical depression you should know. One of the distinguishing features of atypical depression is “mood reactivity.” A person’s mood lifts in response to actual or potential events. For example, she may be able to enjoy certain activities and is able to be cheered up when something positive happens — like when a friend calls or visits — while a person with classic major depression shows no improvement in mood. On the flip side, a person with atypical depression also responds to all things negative, especially interpersonal matters, such as being brushed off by a friend or something perceived as a rejection. In fact, a personal rejection or criticism at work could be enough to disable a person with atypical depression. There is a long-standing pattern of rejection sensitivity with this kind of depression that can interfere with work and social functioning. Instead of experiencing interrupted sleep and loss of appetite as people often do with typical major depressive disorder, people with atypical depression tend to overeat and oversleep, sometimes referred to as reversed vegetative features. It’s not uncommon for someone with atypical depression to gain weight because they can’t stop eating, especially comfort foods, like pizza and pasta. They could sleep all day, unlike the person with typical depression experiencing insomnia. Oversleeping and overeating are the two most important symptoms for diagnosing atypical depression according to a study published in the Archives of General Psychiatry that compared 304 patients with atypical depression with 836 patients with major depression. Fatigue is a symptom of all depression, but persons with atypical depression often experience “leaden paralysis,” a heavy, leaden feeling in the arms or legs. According to Mark Moran of Psychiatric News, a depressed patient gave a graphic portrayal of his symptoms to researchers at Columbia University College of Physicians and Surgeons 25 years ago: “You know those people who run around the park with lead weights? I feel like that all the time. I feel so heavy and leaden [that] I can’t get out of a chair.” The researchers labeled the symptom “leaden paralysis” and incorporated it into the criteria of diagnosis of atypical depression. Atypical depression tends to begin at an earlier age (younger than age 20), and is chronic in nature. Michael Thase, M.D., Professor of Psychiatry at Perelman School of Medicine at the University of Pennsylvania, discussed atypical depression in a Johns Hopkins Depression & Anxiety Bulletin, where he said, “The younger you are in adult life when you start to have trouble with depression, the more likely you are to have reverse vegetative features. In other words, the likelihood that you’ll overeat and oversleep when depressed is dependent on the age at which you become ill.” This was the subject of a 2000 study published in Journal of Affective Disorders. The illness of the patients with early-onset of atypical depression looked entirely different from those diagnosed with a classic melancholic depression. Atypical depression also seems to affect more women than men, especially women before menopause. “Ultimately, I see atypical depression as a subtype of depression that reflects the convergence of an early age of onset, female gender, and a chronic but less severe form of major depression throughout pre-menopause,” writes Dr. Thase. Atypical depression is more likely to occur in people with bipolar disorder and seasonal affective disorder. A study published in the European Archives of Psychiatry and Clinical Neuroscience evaluated 140 unipolar and bipolar outpatients who had symptoms of an atypical major depressive episode. The prevalence of bipolar II disorder was 64.2 percent. In another study published in Comprehensive Psychiatry, 72 percent of 86 major depressive patients with atypical features were found to meet the criteria for bipolar II disorder. There have also been studies reviewing the overlap between atypical depression and seasonal affective disorder, highlighting common biological links underpinning common symptoms. When I was in seventh grade, my family relocated to the United States after having lived in Europe for several years. Before we moved, my mother took me shopping for new school clothes. On my first day at that school, I wore a neon green jumpsuit. I loved that jumpsuit. It had shiny silver zippers up the front and on the pockets. It was the coolest thing ever. Except that it wasn’t. Not in 1980s Michigan. Somehow the latest European trends hadn’t found their way to the Detroit suburbs, where the height of “cool” at the time was Lacoste Alligator shirts and sweaters tied around the neck. Those preppy kids made merciless fun of me and my jumpsuit from Milan. I begged my mother to take me shopping, but she refused. She told me that I should set trends instead of following them. Sure. Tell that to a seventh grader. For the rest of that year, I resigned myself to wearing “dorky” clothes. I became obsessed with not drawing further attention to myself in any way that would make me look “uncool.” I elevated being invisible to an art. Most of us have a similar childhood tale about a time when we felt foolish. We remember how deeply painful that moment felt. That “Inner Kid” takes tyranny over our lives. What has the fear of looking foolish cost you? What were the risks not taken? The words not spoken? The adventures unexperienced?In the extreme form, this fear of negative judgment and the steps taken to avoid it becomes social anxiety. This diagnosis refers to an intense anxiety in situations where one might be negatively evaluated. The fear is typically out of proportion to the situation. Indeed, as I so often witness in my practice, people find themselves overpreparing for a work meeting to the point of exhaustion. They obsess for weeks about what to wear to a reunion and then, at the last minute, don’t go at all. They turn down a promotion because the new job involves speaking in front of groups. And so, it goes – parties not attended, classes not completed, jobs not applied for, potential partners not met – in short, lives not fully lived. In fact, the empirical research supports just such an approach to vanquishing the inner demons that keep us from stepping forward more confidently in our lives. Numerous meta-studies support the use of exposure therapy, a form of therapy that helps us to confront our fears. One such meta-study analyzed 33 treatment outcome studies conducted between 1977 and 2004. It found exposure-based treatment to be more effective than either no treatment, placebo, or non-exposure-based interventions. How, exactly, can we learn to embrace our “Inner Fool?” The answer lies in changing not only how we think about foolishness, but also what we do in response to it. Let’s say that’s the worst that could happen. And now let’s imagine that it does happen. How bad is it? This is known as perspective-taking. It refers to the ability to look past the immediate feeling of embarrassment and to re-assess it from a perspective further out in time. Perspective-taking helps us take small, positive risks because it helps us to see that even if the worst imaginable thing happens, we will likely still recover and live to tell the tale. Odds are, not very likely. The most probable outcome is likely somewhere in between the best-case scenario and the absolute worst-case one. Again, it helps to write these down—the best-case, worst-case, and the most probable outcome. Anticipatory anxiety is typically far worse than the actual situation.The anxious brain automatically goes to the worst-case scenario, and we often forget to consider the other outcomes as well. Perhaps the reunion goes flawlessly, and you have a fantastic time. Or maybe you feel a little discomfort at first but are later able to relax and even reconnect with a few people. When we remember to include all the possible outcomes, it helps our brains relax enough to come out of our comfort zones. Another thing that helps with embracing our Inner Fool is to purposely go out and do something foolish. “Why on Earth would I do that?” you ask. The research strongly supports leaning into the fear and exposing yourself to the fearful situation rather than avoiding it. Avoidance tends to make the fear stronger because it gives you short-term relief. That short-term relief reinforces the behavior, so you continue to avoid things that make you anxious. The problem, however, is that the short-term relief creates a long-term sacrifice—a sacrifice of quality of life, a sense of mastery, and increased confidence in the world. Exposing yourself to the feared situation, on the other hand, allows your brain to get the message that it’s not so bad. Anticipatory anxiety is typically far worse than the actual situation. In my practice, I work with socially anxious clients to come up with experiments that teach them to embrace their Inner Fool. One of my favorites involves going through the drive-through at McDonald’s but ordering as if you were at Taco Bell. Yes, I know. That sounds horrifically embarrassing, and you can’t even imagine doing such a thing. How did I even come up with such a torture? Truth is, I didn’t come up with it. I was sitting in the passenger side of my car one afternoon when my jokester husband did exactly this. He has a playful side to his nature and loves to make others laugh. He is, in all ways, a natural jester. Following his order, there was a long pause. Then a voice responded through the microphone, “Sir, this is McDonald’s, not Taco Bell.” He made some joke at that point and laughed. When we pulled up to the delivery window, the person taking the order was smiling and laughing too. So, go ahead. Order some fast food at the wrong place. Wear the green jumpsuit. Embrace your Inner Fool. Abramowitz, J.S., Deacon, B.J., & Whiteside, S.P.H. (2011). Exposure therapy for anxiety: Principles and practice. New York, NY: Guilford Press. Wolitzky-Taylor, K.B., Horowitz, J.D., Powers, M.B., & Telch, M.J. (2008). Psychological approaches in the treatment of specific phobia: A meta-analysis. Clinical Psychology Review, 28(6), 1021-1037. Esther shares her tips for easing worries when travelling abroad. Last summer I embarked on what was the most exciting (and nerve-wracking) adventure of my life thus far – working as a camp counsellor in America. But, not only would this be my first trip to the US, but it would also be the first time I’d be flying solo – quite literally! Some may say that my fears were irrational, and okay yes – it was fairly unlikely that I was going to contract Ebola, board the wrong flight (Home Alone 2-eque) and end up in Timbuktu, but my mind was racing, and ultimately, the anxiety I felt about my impending trip was very real. When it came down to it, whilst I was excited for my new adventure on the surface, my enthusiasm was dampened by fear and worry. Beyond the travel concerns, I was deeply worried about being in a new place, where I didn’t know anyone, without my usual support network. So, how did I combat this? I was fortunate that my cousin had worked at a summer camp the previous year, so I reached out. By expressing my worries and talking through them with someone who had had a similar experience, I was able to calm myself – it was reassuring to know that I was a) not alone, and b) that even though I would be away from home my support network was only a phone call away. 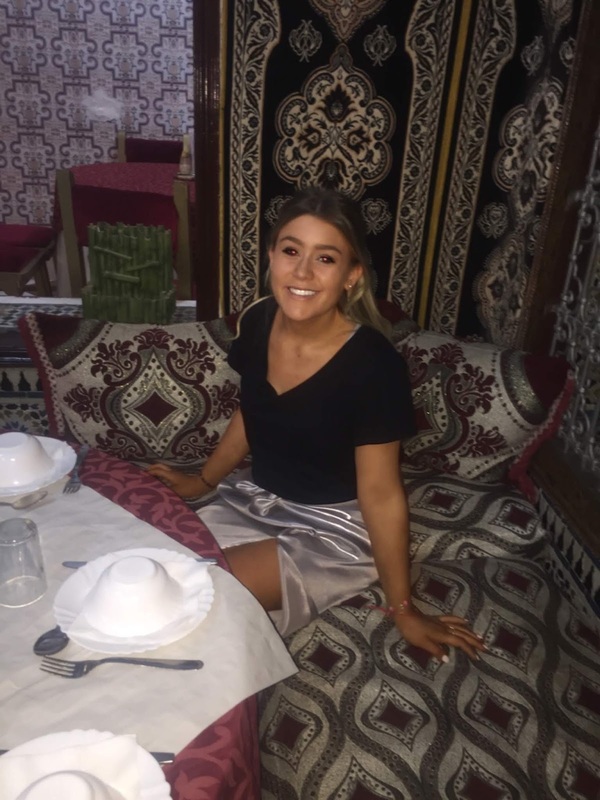 By being brave enough to ask for advice, I was able to implement strategies to manage my mental health condition whilst abroad. I also made sure to get comprehensive travel insurance for my trip, this meant that my pre-existing medical conditions were covered, and helped to put my mind at rest. Now, the good news is that I thoroughly enjoyed my time in America, so much so that I’m going to be returning this summer! Whilst I am still anxious about travelling, I have been able to prepare myself in order to limit my anxiety. Thankfully my travels went smoothly last year and my preparedness definitely limited any stresses on the day of travel. So, how did I prepare? Firstly, I made copies of all important documents (such as my passport, itinerary and insurance policy). I shared my itinerary with my family, made sure they knew the time difference and stayed in regular contact with my family and friends back home during my trip. I researched medical professionals in the area where I’d be staying, so should I need support whilst abroad, I knew where to find it. I also made sure that my medications were legal in the States (as rules differ between countries). 1. Be prepared – make lists, do your research. It’s obvious but it really helps reduce stress and anxiety. 2. Take a minute for yourself – It’s ok to take your time and gather your thoughts. Have a drink of water. Take a deep breath. 3. Take a little bit of home with you – download your favourite films and music, do those little things that make you feel at ease and are familiar. You might be travelling solo but help (and home) is just a phone call away. I have written before about the challenges children face, and the lessons they can learn, when one of their parents is dealing with obsessive-compulsive disorder. In this post I’d like to focus more on moms who have OCD, and the difficulties they might deal with. I won’t be focusing on postpartum OCD, but rather on moms who have already been diagnosed with the disorder and have been living with it for a while. Some of the most common types of obsessions in OCD involve various aspects of contamination such as fear of dirt, germs, or illness. The person with OCD might fear the worst for themselves, their loved ones, or even strangers. If you’re a mother (and even if you’re not) you likely know that dirt, germs and illness are an inevitable part of childhood. How can a mom with OCD possibly take her four-year-old child into a public restroom? Surprisingly, most can and do. Over the years I have connected with moms who have OCD who do what they need to do, despite their fears. By caring for their children, they are actually engaging in the gold-standard psychological treatment for OCD — exposure and response prevention (ERP) therapy. And because ERP therapy works, these moms find that the more they bring their children into those restrooms, or allow them to play at the playground without trailing behind them with sanitizing wipes, or agree to let them spend time at a friend’s house, the less their OCD rears its ugly head. In short, they habituate, or get used to, being in these situations and accepting the uncertainty of what might happen. Another comment I hear often from moms with OCD is that because caring for a child (or perhaps multiple children, and even a family pet) is time-consuming and never-ending, they are so busy that they don’t have time to worry about all the things OCD thinks they should worry about. If your baby has a dirty diaper, the dog is barking to go out, your toddler just found the finger paints, and you need to get to the grocery store, you don’t have time to fret over your fear of contamination. You just change the diaper, tend to the dog, quickly wipe your toddler’s hands, and get out the door. OCD might be protesting in the background, but you have no time for its silly demands. Again, great ERP therapy! Of course, it doesn’t work this way for all moms, and for some OCD is in control. To these moms, I say, first and foremost, please get help from a mental health professional so you can learn to quell your OCD until it is nothing more than background noise as you care for your children. The truth is, if your obsessive-compulsive disorder remains untreated, it will affect your the well-being of your children. Their world will be limited, they will pick up on your anxiety, and they might even mimic your behaviors. For moms who are struggling with OCD, please resolve to put your children before your OCD. Learn how to spend quality time enjoying them, not ruminating over all the things that might go wrong in a given moment. The irony is that OCD wants you to believe that giving in to its demands is keeping your children safe, when in reality, your behaviors are likely hurting them. Modeling healthy behavior and how to deal with life’s challenges might be the best gift you ever give your children. Finally, being a mom with OCD can feel extremely isolating. But you are not alone. Join support groups (online and in-person), talk to an OCD therapist, and accept the love and support of family and friends (but no enabling!). You and your children deserve lives not compromised by OCD.